As I've said before, most of my closet is what I wear all year long, adding or subtracting layers & accessories as necessary. 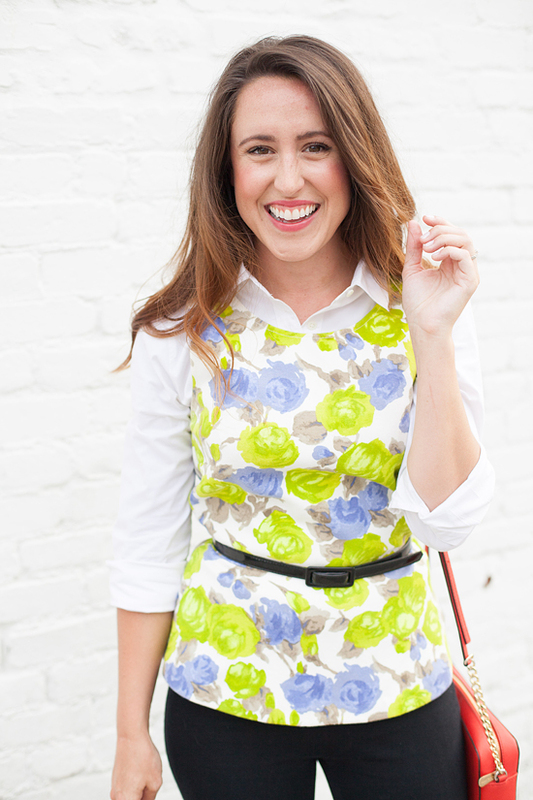 One of the key pieces in my 365 day closet? This white button down (on sale now for under $30)! I have bought it in multiples because it gets so much wear & I never want to be with out it. 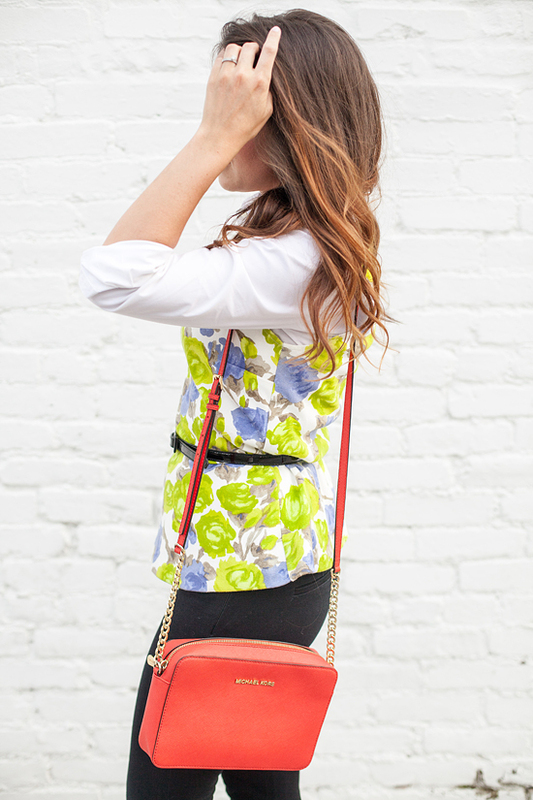 I love the fun print on this peplum top, but I can't wear tanks at work & the thought of putting on a sweater in this humidity is insane! So insert my pinch hitter - the white button down & everything works! It really is my ultimate layering piece. Another part of my 365 day wardrobe, is that many of my foundation pieces stay the same, regardless of the season. These black pants are the most comfortable thing ever & I am coming to realize that my matte black Tieks literally go with everything! Building a wardrobe of functional, versatile basics is very important to me (& my sanity when I am getting dressed in the morning) - without these foundation pieces, the more fun & trendy items would just feel disjointed! 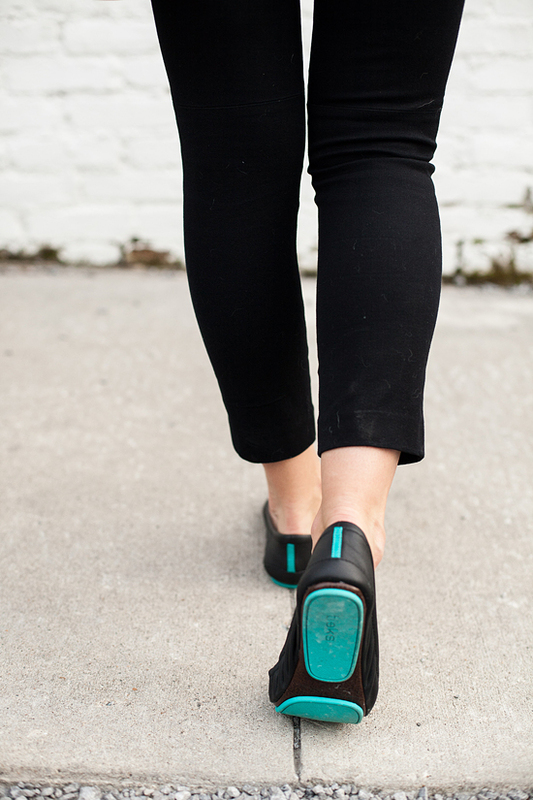 And many of you have been asking for my feedback on the fit/comfort of Tieks. I now have 2 pairs (pink Tieks as seen in this post & this pair of black Tieks were previously worn in this post) & think that the price point is great for the quality of leather & comfort of the shoes. I am a solidly 7.5 shoe size, but as Tieks do not come in 1/2 sizes, I went down to a size 7. This means that my toes go right to the end of the shoes. I also tried on a friend's pair of 8 & they also fit, but there was a much roomier toe situation happening. Also, I have pretty high arches, & sometimes wearing flats all day causes my arches to ache, but the Tieks have a firm foot bed that is comfortable while still being very supportive. If you have any more questions before taking the plunge of purchasing a pair of your own, just let me know in the comments! 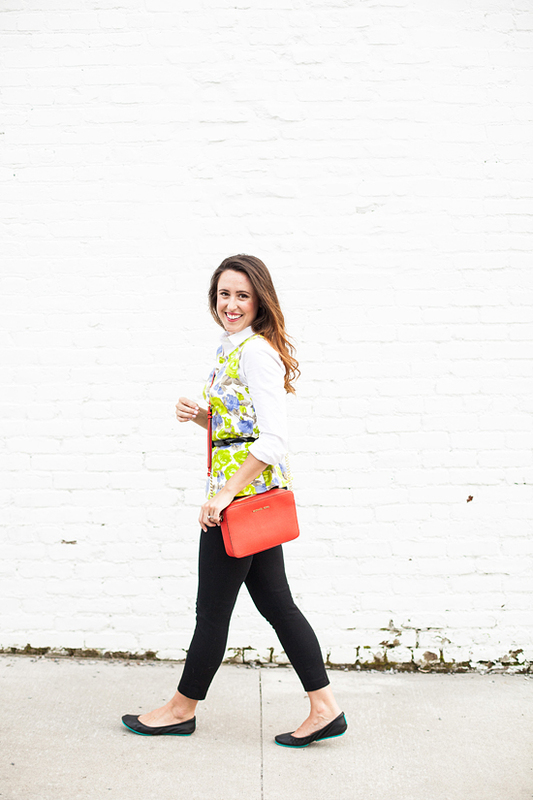 See how I wore my matte black Tieks for weekend fun in this post. Do you wear ballet flats even in Summer? What is your favorite way to wear them? This post was sponsored by Tieks, but all reviews & opinions are my own. I only work with brands that I am truly passionate about, & Tieks are the real deal!